This does not mean that you need to clean every dish in the house or move every piece of furniture to clean underneath it all. These things are not going to bring down the overall value of your home. 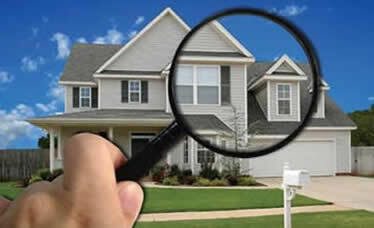 Having said that, mowing the lawn, trimming bushes, spot cleaning your carpet, and making sure any noticable marks on the walls have been taken care of are all important factors to consider before your home appraisal. Start a list of home improvements & replacements covering everything for the past 15 years. This will help increase the value of your home by showing that the roof on your 10 year old house is actually only 5 years old. This concept applies for everything that is being sold with the purchase. With each entry mark down the date and the approximate cost associated with each update. Be mindfull as to what you are spending money on to increase the value of the house. Experts say that the most important areas to spend money on before an evaluation are: plumbing, carpet, paint, & lighting. This is not to say that you should put nothing into the other areas of your house, but these are the most important areas where spending money can help according to experts. Small things like broken knobs & leaky faucets can have a much larger impact on your home appraisal then you may initally think. In general though everything should work! Also making small updates can have a big influence on your home's appraisal. Replacing faucets & lighting will help a room look a bit more modern, helping to increase the value of your home. Appraisers do this day in and day out, following them around is not the best tactic in getting a better value on your home. You should however try and make their visit as plesent as possible. Lets say that it is a hot day out, generally you like to keep your house at 78 degrees. Comfort is relative to the individual in question, but if an appraiser comes into a situation like this it may lead them to believe that the air conditioner is broken. Also should you have any faithful friends hanging around put them up for the day, a growling dog making an appraiser uncomfortable could cause them to rush an inspection missing vitial information about your home.